"never fly with this airline again"
✅ Trip Verified | Dubai to Bucharest. Worst aviation experience I have ever had. 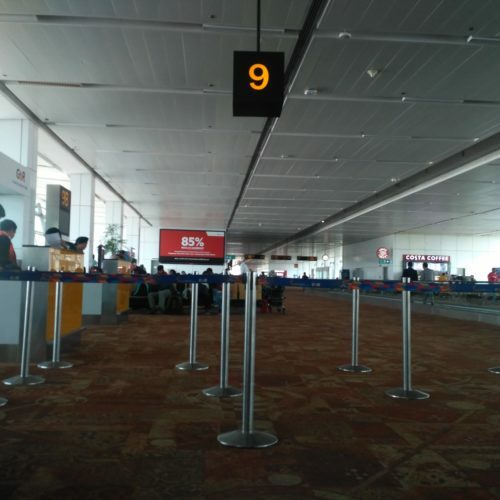 Almost two hours delay, staff is not able to provide information. Airplane entertainment does not work. I will for sure never fly with this airline again. ✅ Trip Verified | Helsinki to Kabul via Dubai. It was the worst ever experience with flydubai. I paid 830 euros for ticket. When I was flying back to Finland from Kabul they didn't serve any meal when the flight duration was around 3 hours, I was fine with that but after 6hr and 45 mints of layover in Dubai airport they even did not serve any food on flight. My flight from Dubai to Helsinki was for more than 6hrs - they were charging for food and snacks. Everyone had to pay for food. Not Verified | Bucharest to Dubai. I booked a fully flexible ticket on Flydubai that comes with checked in baggage but needed to change my flight on the return to come back a day later. I did this online and it said everything was fine and I could change for free so I did it. Then I arrive at the airport and the check in person tells me I didn't book baggage so I showed her my original ticket that said I booked fully flexible with baggage. Then she told me that when you change your booking it becomes the cheapest booking and you lose all your perks like baggage. How is it then fully flexible? I had to pay $120 for my checked bag because of this. That is not flexible. Terrible service. Used to be a good airline but now it is terrible. "last flight ever with flydubai"
✅ Trip Verified | Baku to Karachi via Dubai. Worst flight ever even more than worst. I had my flight at 28 march 7:00 pm, i reached Baku airport at 3, I asked the fly dubai counter any they told me that check In will start at 5:00pm, when I came their at 5:00 they told me your flight is canceled and your next flight will be at 3:30am. I was shocked because I had no where to till that. Some how I got my flight at 3:30 (remember that 3:30am should be the arrival time of Karachi as per ticket). This flight fuel got empty and we waited on the airplane for four hours and then at 11:30 am i reached Dubai where I got to know that my flight from Dubai to Karachi will be at 9:00 pm. I am now at the airport with my wife in complete shock. Iam tired af, as them to please accommodate us some where we can rest as we are traveling for more the. 20 hours and we have to wait another 12 hours, so what they did was sorry and said please have a meal, I mean how I am supposed to have a meal when I am asking for hotel. Really pathetic airline it is. First and of course the last flight ever with flydubai. ✅ Trip Verified | Dubai to Kathmandu. Ground staff is non polite of flydubai airlines. Boarding staff are totally nonsense not polite In Dubai airport terminal 3, I do not recommend to Use this. ✅ Trip Verified | Dubai to Istanbul. If you want to have the worst flight just go with flydubai. Irresponsible company. Impolite staff. I had 4 times flight with this company and in all cases we had a problem. 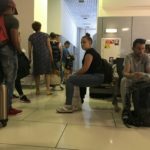 First time from Yerevan to Dubai flight has been cancelled and no one informed us and we went to airport and found out the flight is canceled and postponed to tomorrow. The next time from Dubai to Istanbul flight cancelled when we were onboard. They didn't explain and 20:45 flight changed to the next day at 7 am. During this time they didn't provide any hotel and no place to rest just simple food from KFC that is was limited to some options. The staff lied us and didn't care at all. "probably the worst we have taken"
Not Verified | We had booked a return flight with Emirates, from Glasgow to Zanzibar via Dubai on 27th February and returning on 7th March. After confirming our booking, we found that the 6 hour leg from Dubai to Zanzibar is operated by FlyDubai, which turns out to be a low cost (but not particularly cheap) airline. 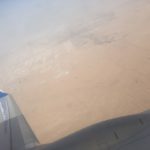 The Emirates flights to and from Glasgow to Dubai on a 777-300 were excellent in all respects but we can honestly say that in all our years of travelling, the FlyDubai flights in a Boeing 737-800MAX were probably the worst we have ever taken. By booking with Emirates, we not unreasonably expected to get at least a roughly comparable standard of service and amenities. We believe that Emirates should make it clearer when booking that an associated connecting flight is operated by a budget airline, and a poor one at that. There were so many things wrong that it’s difficult to know where to start but here goes: The seats were really very cramped, with a nominal pitch of 30” but I suspect that in reality it’s a bit less than this. Furthermore, the seats were quite hard and our backsides started to suffer after a couple of hours. They’ve tried to cram in as many passengers as possible and whilst this may be just bearable for short haul flights, it’s a disgrace to use this configuration for what was a long haul flight. It was obvious that many passengers, and more especially the taller ones, were really suffering. The aisle was very narrow, and passengers in aisle seats were being constantly bumped into while trying to sleep. The cabin on both the outbound and return flights was terribly stuffy and airless. Air con was either not working properly, or not set up correctly. People were asking for water but had to pay for it! Absolutely disgraceful! As we were on an Emirates ticket, we were entitled to complimentary meals, but other passengers had to pay. The meals were truly awful and pretty much inedible. In flight entertainment is available but has to be paid for, even for those on an Emirates ticket. 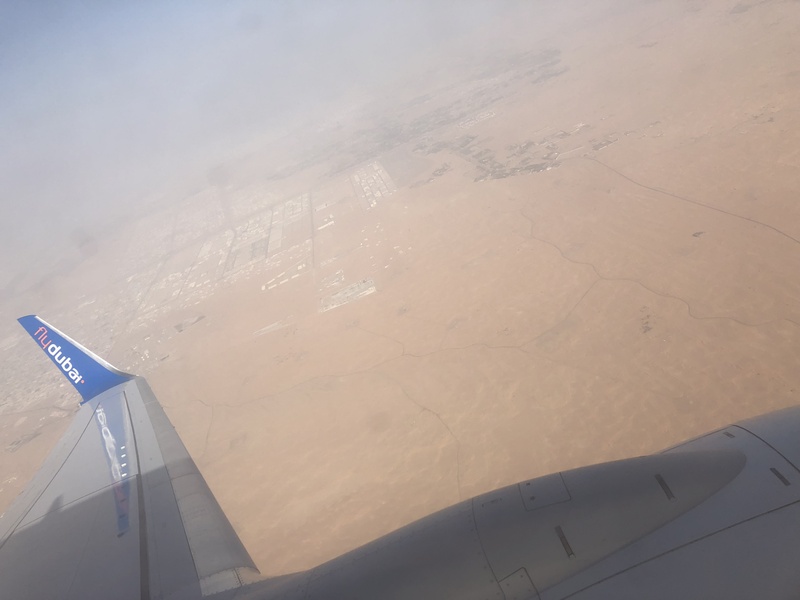 FlyDubai operates from Terminal 2 which entails a painfully slow 40 minute bus transfer from Terminal 3 – this is pretty nail-biting if you have a tight connection, as we did. 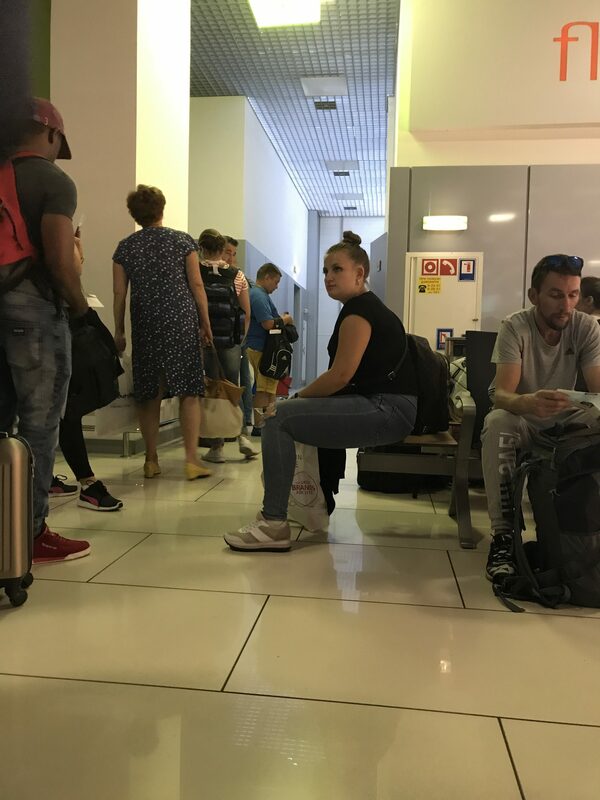 All in all, a horrible experience that we never wish to repeat and we can categorically state that we will never use FlyDubai again, and nor will we book with Emirates if they use them for connecting flights. There are better alternatives. ✅ Trip Verified | Delhi to Dubai. My third visit to Dubai but I had my worse experience with Flydubai as they charged me with 1000 bucks for check in package,they told me only 7kg bag allowed in your booking and if you want to check in then pay 1k for 10kg bag. I think it's obvious people have check in bags, As a student paying 1000 extra hurts me, why didn't they tell me or displayed any options for check-in baggage but nothing you can do so let it be, it was a learning experience I will be careful about the that in future and will avoid Flydubai. "they are really really bad now"
✅ Trip Verified | Muscat to Dubai. We checked in for our flight and downloaded my boarding pass. When I got to the airport I was told I had no seat as the system has failed and I was not cheeked in. This was at the gate, after I passed all security checks. Had to wait as all the other passengers for on board, then they decided to help us. By which point the were only 2 seats at the back of the plane, middle seats, different rows. When I tried to complain, the on board staff were totally unconcerned. They were not rude, but could not care less about the fact that they had messed up my seats. After getting in board I noticed my boarding pass had a totally different name. They had no AC and it was like an oven on board. Staff liked miserable and ready to die. If you ever think you might fly this airline, don't. Check Emirates as they are cheaper after to add the fees for a seat and a bag on FlyDubai. Disappointing as I have been flying on FlyDubai for years, but something has changed and they are really really bad now. ✅ Trip Verified | Dubai to Tbilisi. The person who checked us in was very good person. He asked our documents he even verify our visa validity which helps us a lot not to get in any confusions or chances not to enter the country. He gave our boarding pass and help us to check in the luggage. After that we enter with the security check walk around the duty free shops. Then our boarding was started. Before we approach to the counter for the boarding one gentle man came and suddenly started asking us too many questions and in very rude manner. Even though we have our all proper required documents for travel he started investigating us asking a questions like how many money we have, NOC from the company. Lots of the people no body were asked any questions and we were amazed that in a very rude and inappropriate manner we were told to come to side and started asking questions. It was not less than a police officer investigating a criminal. One of the guy was the one who took us at the side and give our documents to the other guy and then that guy gave our documents to the other guy and they were asking the same question. We are going on a vacation and they ruined our whole mood. At the end they took a pictures of our passport and let us go. They were very smart that they hide the front side of their employee id to make sure that nobody knows their name. Crew member were good and even the guy at the front who checked us in. But those who were at the place at the boarding time were very rude.